In our previous post, we described the atmospheric patterns that could affect the northern hemisphere jet streams -- and therefore our weather -- this winter. 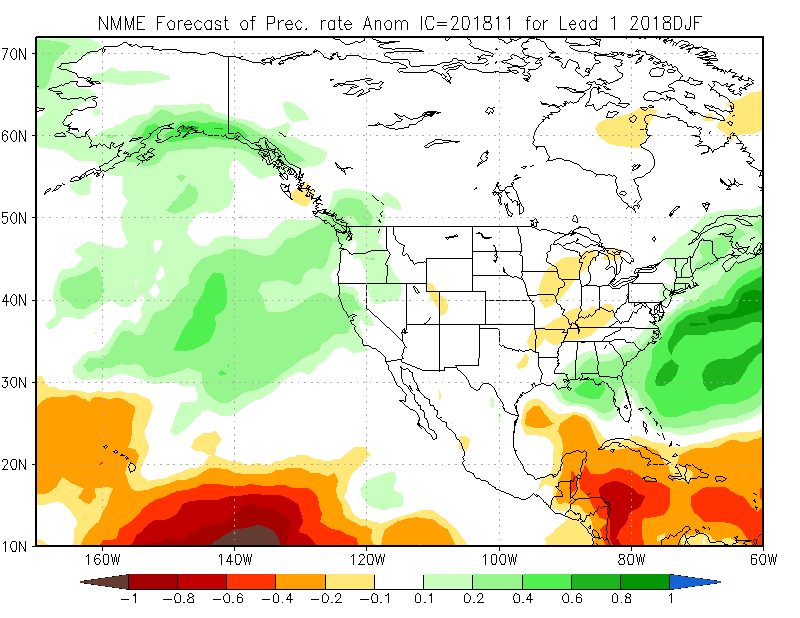 To recap, an emerging El Niño is likely to have the greatest impact, with wetter-than-normal conditions expected due to its strengthening of the subtropical jet stream. One ENSO-related wildcard is this year's Modoki-style setup with the greatest sea surface temperature anomalies in the central and western Pacific. In some past years, that has encouraged more polar jet stream troughing -- and cold air -- over the US east coast. Another potential impact to the polar jet stream could come from the rapid late-October increase in snow cover over Siberia. We've already seen the polar vortex weaken this month and bring colder weather to North Carolina, so additional such weakening events could have similar effects this winter. To get a better feel for how a winter can look with these patterns in place, we looked at past years and found four with overall similar conditions. Interestingly, they paint four distinct pictures for how this winter could play out. This winter saw a moderate El Niño that faded by the end of the season, but it still packed a punch in North Carolina. Perhaps in part due to a pronounced Modoki pattern that included below-normal sea surface temperatures just off the South American coast, we saw strong winter-long troughing in the polar jet stream over the US east coast, resulting in our 8th-coolest winter on record. 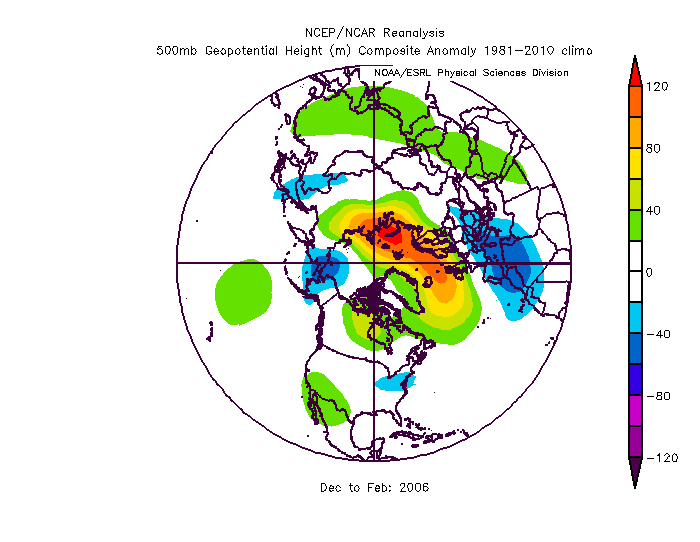 Average snowfall in four selected analog winters (top) and normal annual snowfall (bottom). Note that this does not represent our snowfall forecast for this winter. It was also wetter than normal and snowier than normal across much of the state, thanks in part to blocking high pressure over Greenland that kept cold air anchored in place and storm systems tracking just off our coast. 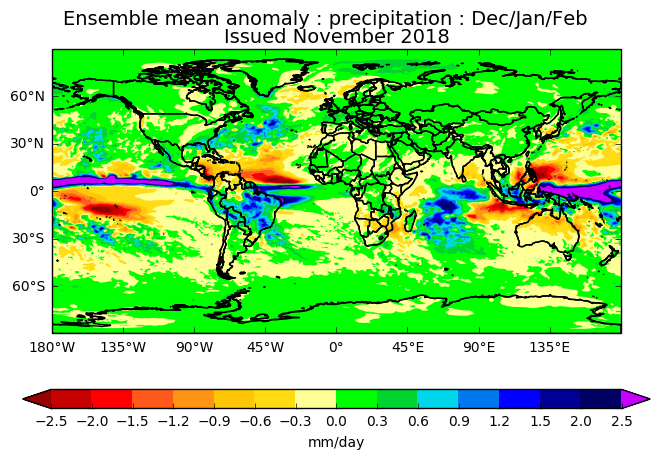 Another moderate El Niño, this year's event lasted throughout the winter and brought three wetter-than-normal months in North Carolina, culminating in our 12th-wettest winter on record. The strength and duration of this El Niño event is the closest match to what we're expecting this year. 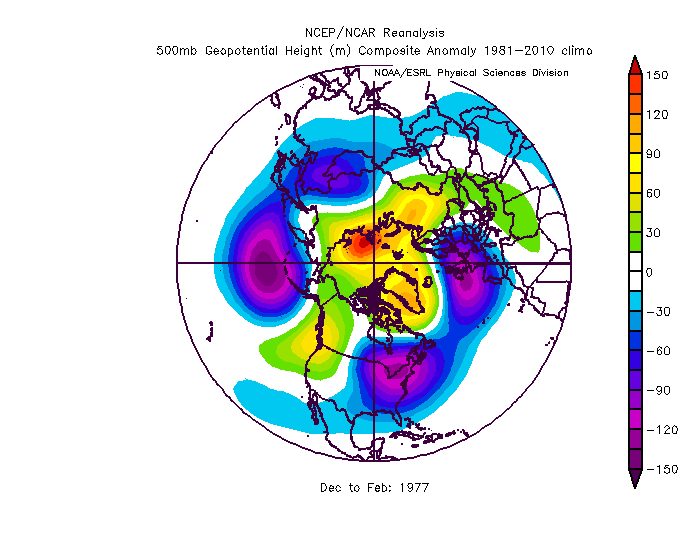 While its Modoki signal wasn't quite as distinct as in 1977-78, we still saw troughing over the eastern US and overall below-normal temperatures and above-normal snowfall. Wintry events included three January snows in the western half of the state plus a mid-February snow and ice storm. This winter featured a weak, Modoki-style El Niño similar to what we expect this year, but an earlier fall emergence and late-winter fizzling than we're expecting. 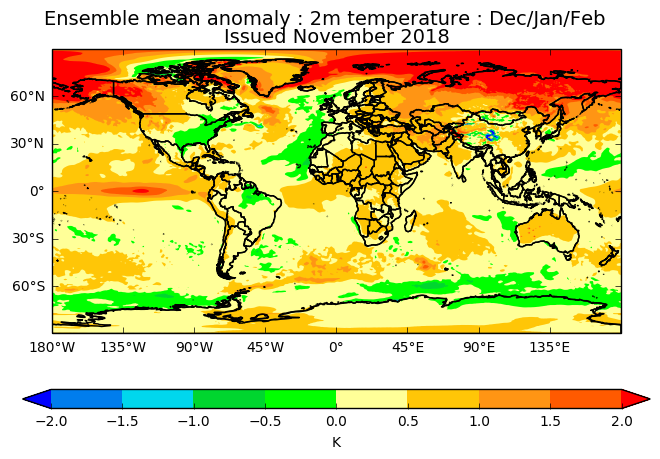 While there was some jet stream troughing, it mainly occurred over the north Atlantic, leaving us with near-normal temperatures and below-normal precipitation. The average Siberian snow cover in October 2004 was similar to what we saw this year, but polar patterns were overall unfavorable for snow. We only saw a few minor wintry events, at least in terms of amounts. 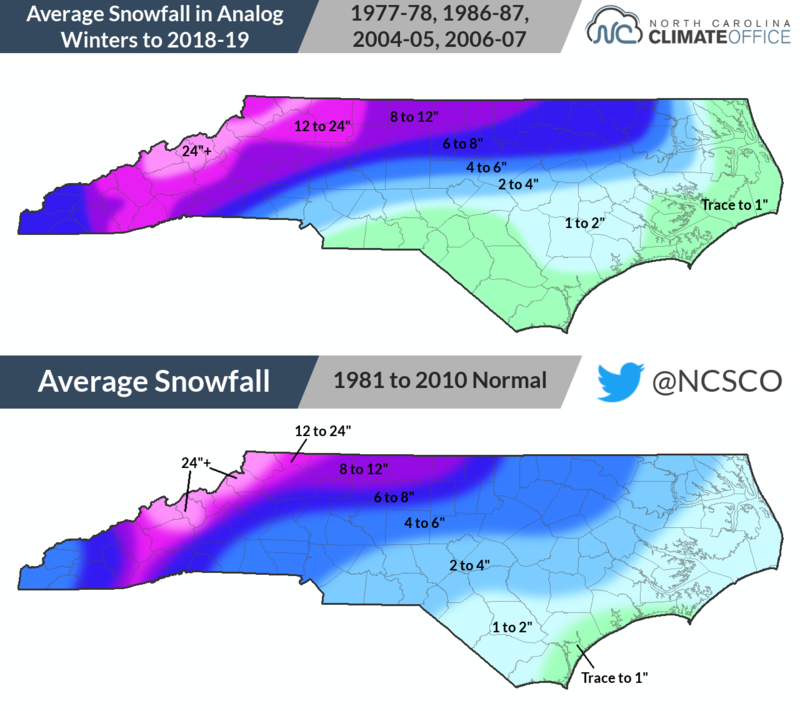 Based on their impacts, though, the January 19 "half-inch disaster" in the Triangle remains one of the more infamous snow days for the region. 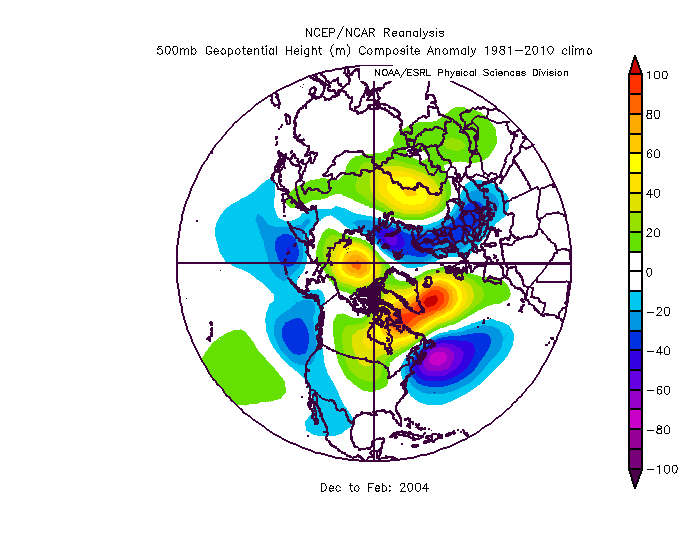 Weak El Niño conditions with only a subtle Modoki pattern faded by the end of the winter, resulting in a warm and dry conditions that set the stage for the historic 2007-08 drought in North Carolina. 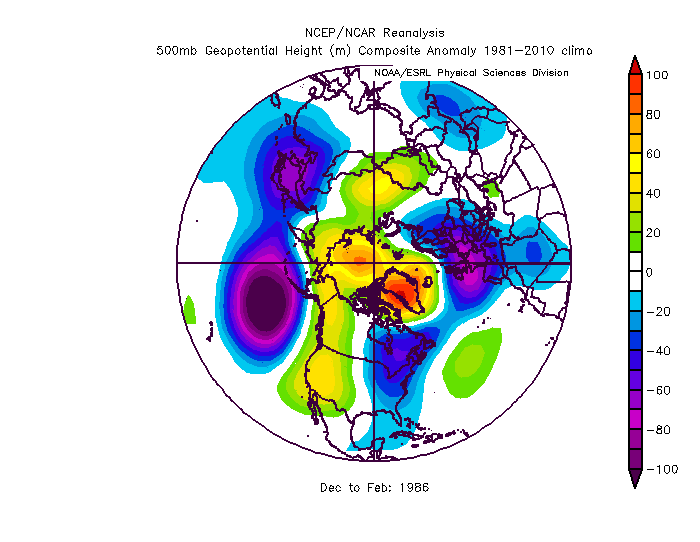 There was little troughing or high-latitude blocking to be had in the polar jet stream, with only one minor snow event of note in early February. 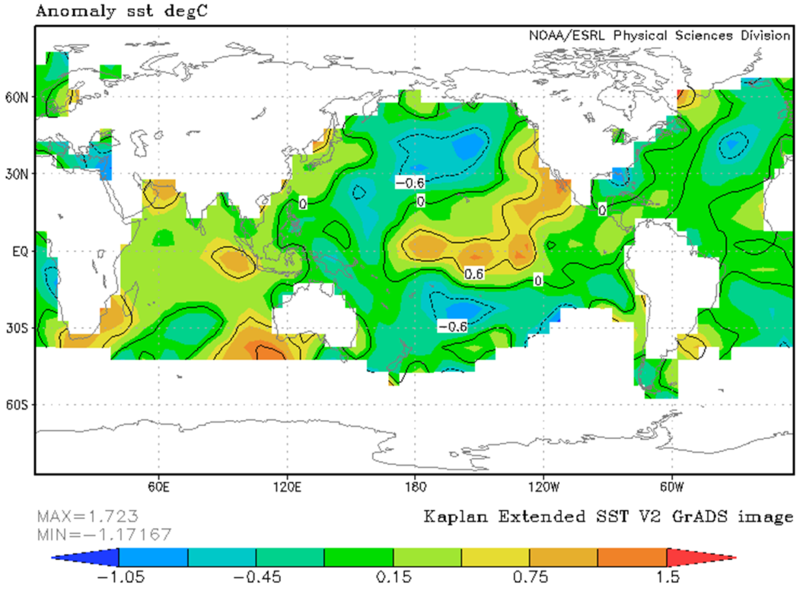 We expect a weak to moderate El Niño persisting throughout the winter will be the main driver for our weather pattern. We have high confidence at seeing above-normal precipitation for the winter as a whole. However, it's worth remembering that 3 out of our 4 close analog years had at least one drier-than-normal month. Overall, we expect near-normal temperatures on average, with the jet stream pattern closest to the 1986-87 winter that saw a warm December followed by some east-coast troughing and cooler weather in January and February. We should see a mix of cooler and warmer periods this winter, with the greatest potential for cold air outbreaks from mid-December through late January. While some atmospheric patterns entering the winter seem favorable for wintry weather chances, these quickly evolving patterns have limited long-range predictability. Historically in El Niño years, our best snow chances come in January regardless of what the polar jet stream is doing. Of course, remember that it only takes one big snow event -- or missed opportunity -- to define a winter. While the forecast for February and early March is much less certain, recall from several recent years that if we see a late-winter warm-up, it can be followed by cooler springtime weather including a late-season freeze. 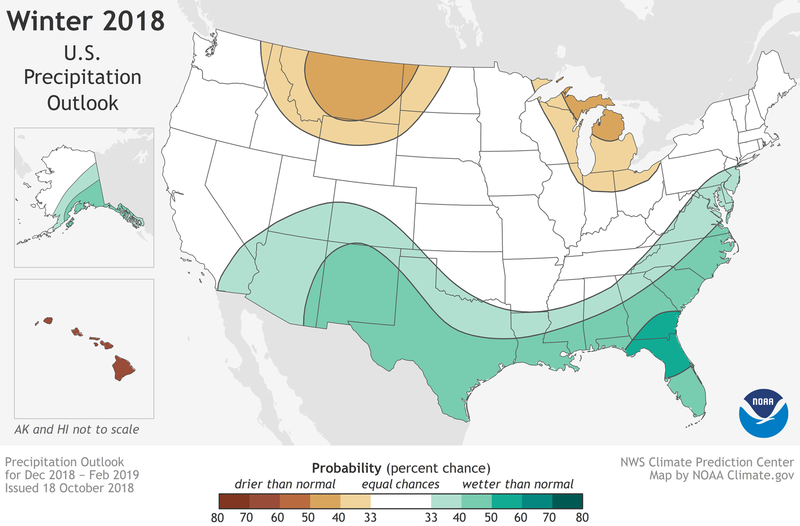 NOAA's Climate Prediction Center has a similar overall forecast for North Carolina, with the prediction for above-normal precipitation across much of the southern US and southeast coast. They call for equal chances of above- and below-normal temperatures in the Southeast. The NOAA Climate Prediction Center precipitation forecast for winter 2018-19. View more in their full winter outlook. 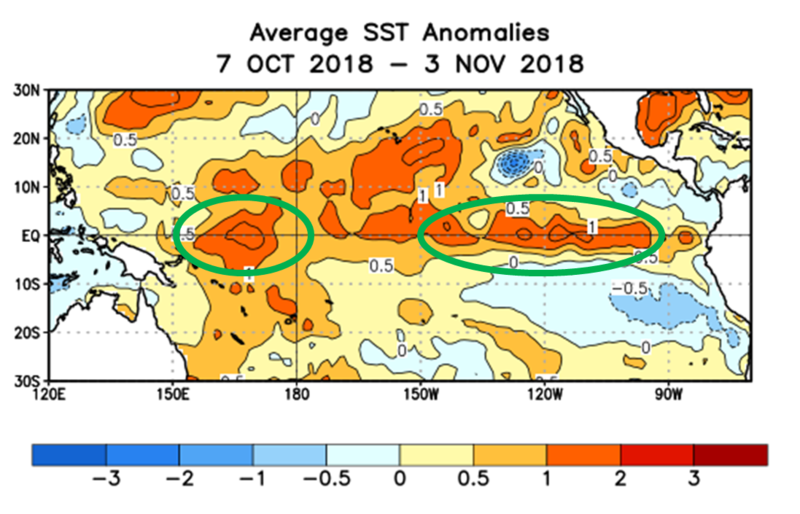 Their forecast is influenced by typical El Niño impacts, although their October discussion notes that the anticipated weak El Niño strength reduces confidence in the expected impacts. Because of this, they also note that other sources including the polar jet stream patterns will likely play a greater role and tend to favor more overall variability in our weather this winter and early next spring. 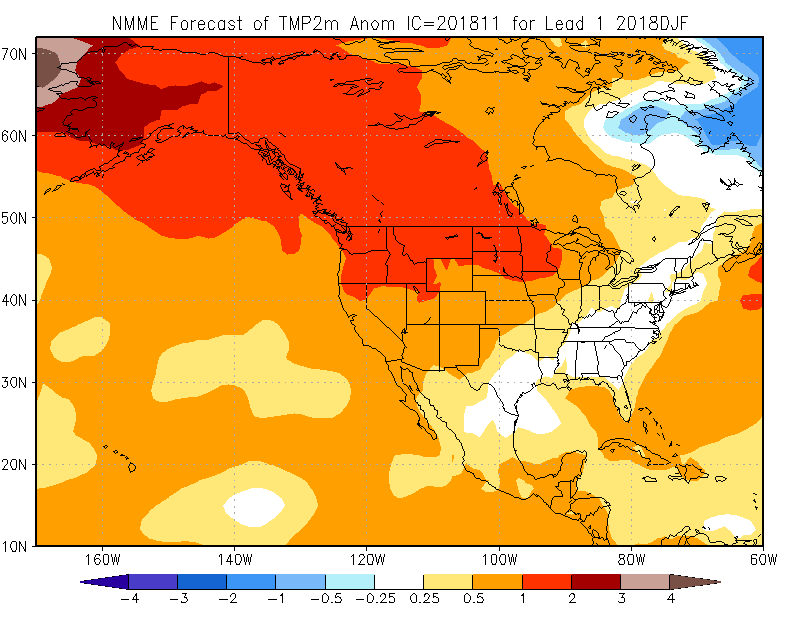 In addition, CPC considers various climate model solutions, and one set of those models -- the North American Multi-Model Ensemble -- also favors a wet winter for at least parts of North Carolina, as well as near-normal temperatures on average. Another model ensemble from across the pond run by the UK Met Office echoes that precipitation forecast with an average anomaly of up to 0.3 millimeters per day -- about extra 1 inch over the entire winter -- as well as slightly below-normal temperatures, which could be a sign that it's favoring the eastern US troughing sometimes seen in Modoki El Niño years. Finally, perhaps you might consult farmers' almanacs, which proclaim the use of meteorology, climatology, astronomy, and other methods kept under lock-and-key to formulate their predictions. 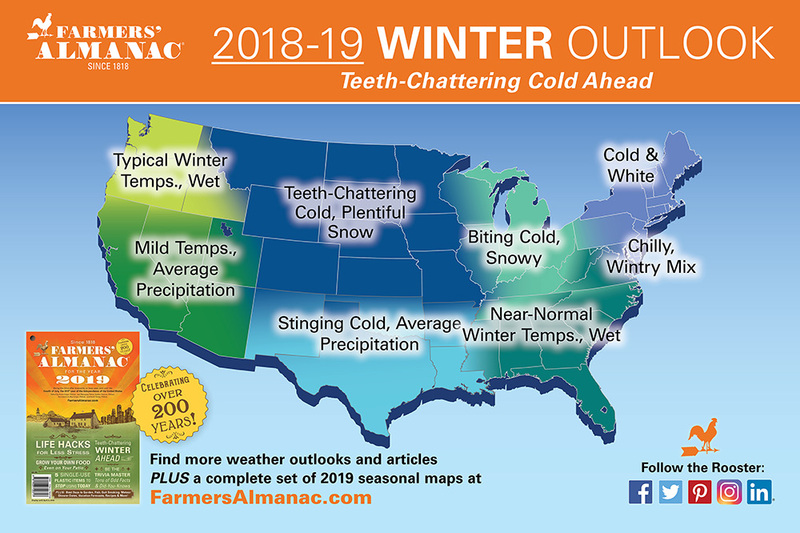 For this winter, the Old Farmer's Almanac predicts warmth across the eastern US with a mix of wet and dry weather in western and eastern North Carolina, respectively. 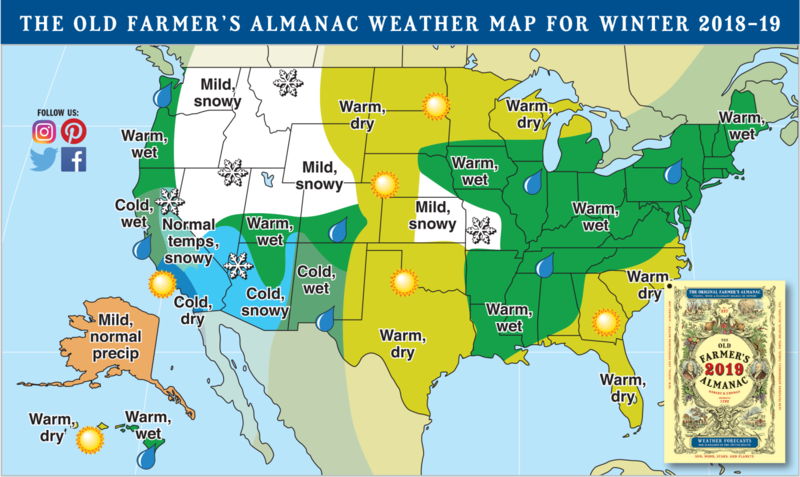 Meanwhile, the Farmers' Almanac expects near-normal temperatures and wet conditions. By this point in the blog post, that's a familiar forecast. However, we'll have to wait a few months to see if it's correct.